The other day, I heard my almost 7-year-old daughter belt out the song, “The Gratitude Attitude” as she played with her dolls. She’d been dealing with a rough day of relational issues with her older brother. As the sibling storm subsided, I followed up with a conversation about how she might be grateful. Her sing-song response reminded me of my childhood, when I often tried to tell myself to be grateful even when I didn’t like how certain things turned out. 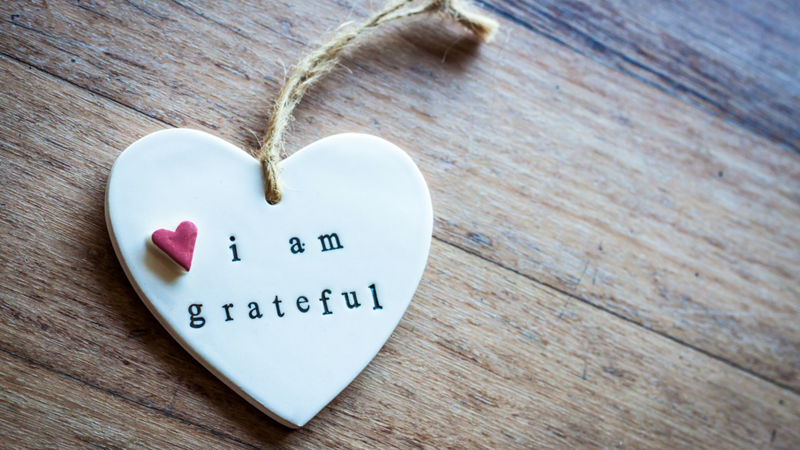 Now as a mama of three, I have to daily remind my kids (some more than others) that we need to be grateful in all circumstances. Is that easy? No! But is it possible? You bet! The talents God has given me… singing, drawing, cooking, etc. Wowzers. That is a difficult one to answer. Throughout this year, we’ve experienced many struggles related to Hudson’s exceptional needs, dealing with ongoing health issues, as well as our sixth miscarriage in September. It is honestly really hard to see anything good through those times. But why? Isn’t He still good even when life isn’t going well? Yes, and to believe otherwise is to show unbelief in Who He is as our Father, as well as His infinite goodness. When we only thank Him in the good times, it shows that we don’t really believe He is with us in the hard times. This doesn’t downplay our emotions, griefs, struggles, but it does encourage us to remember Who carries our burdens for us. I am doing the best I can to love Hudson in all his unique concerns and daily challenges, but I’m not perfect nor am I God. I’m going to fail and I’m going to get it wrong time and time again. However, I’m so thankful that I have a Savior who does know all the answers, and He knows and loves Hudson more than we could. Health issues have given me more of an appreciation and gratitude for good health when it comes, and a reliance on Him through each and every day. This list is shorter than the first, but it’s much deeper and harder won. I pray that I will remember these points in the future as I parent and live life doing my best to totally rely on Jesus as I love my husband and children, minister to people, and show His love to everyone I meet. November is the month of gratitude, but it’s also a reminder to thank Him every day of every year for not just what He does for us, but for Who He is.